There is no greater asset to an artist than the elements themselves. Understanding, absorbing and then utilizing the elements in your favor can transform a piece of work quite dramatically. 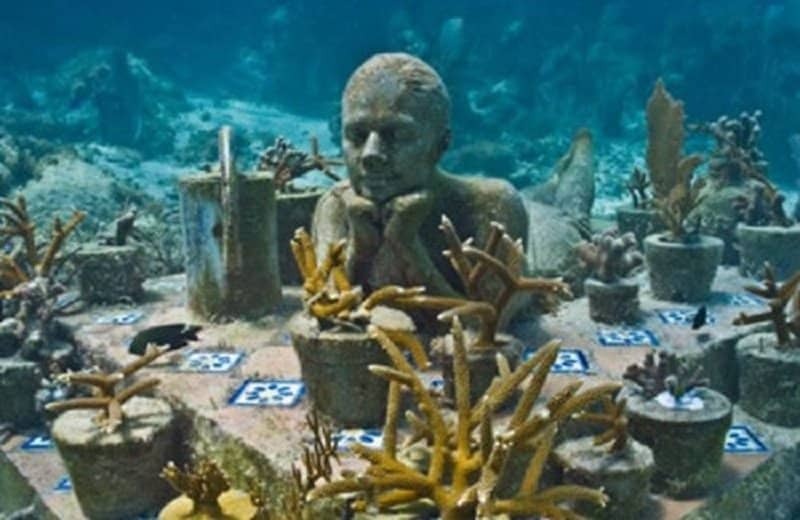 A new trend has emerged in the field of sculpting, where artists have begun to create works that are meant to be displayed solely underwater. This is quite a novel idea and brings a unique layer to the overall work. 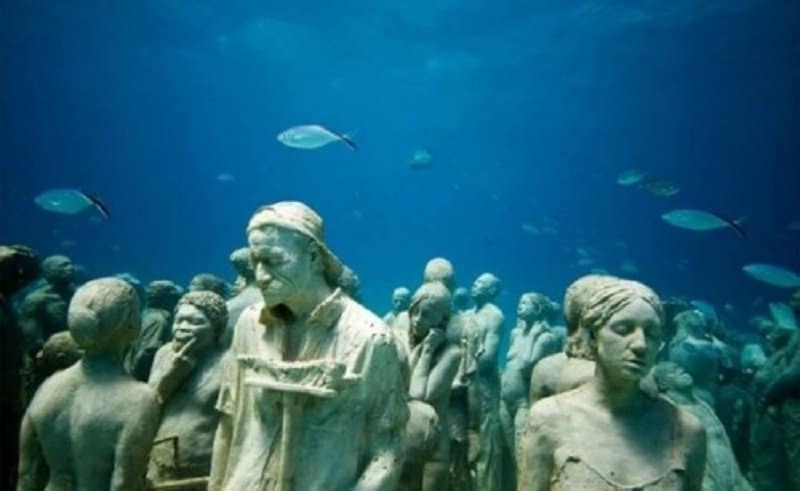 The following list features 10 of the best pieces of underwater sculptures. 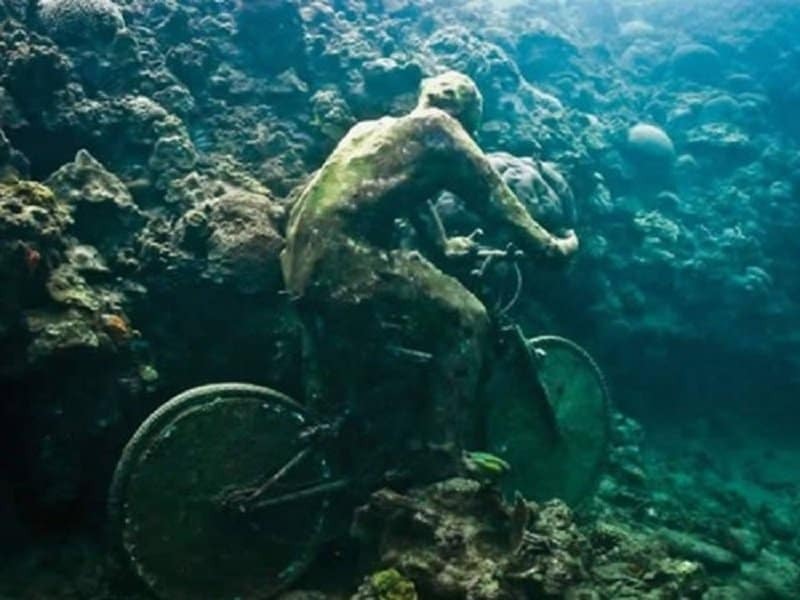 Cycling is hard enough without having to pedal underwater. 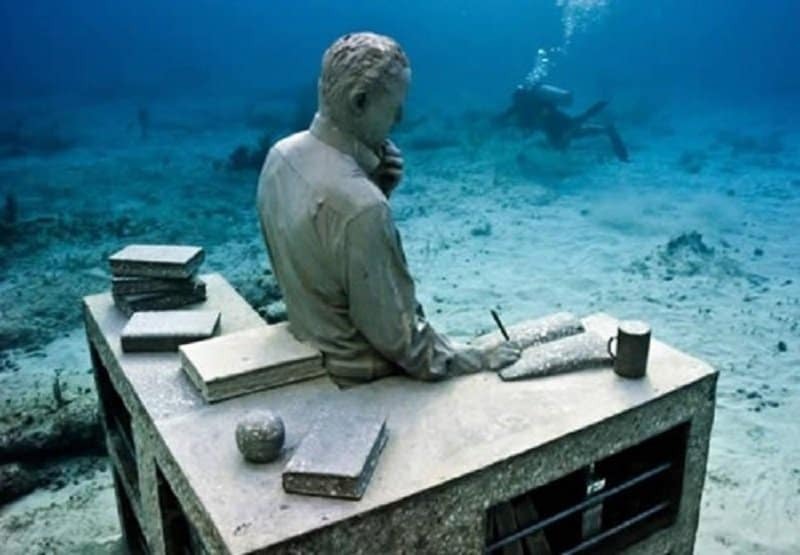 A brilliant piece featuring a man taking some notes at his office desk. When you are a writer, sometimes you feel like there isn’t enough oxygen going to your brain in order to pump out the necessary ideas. 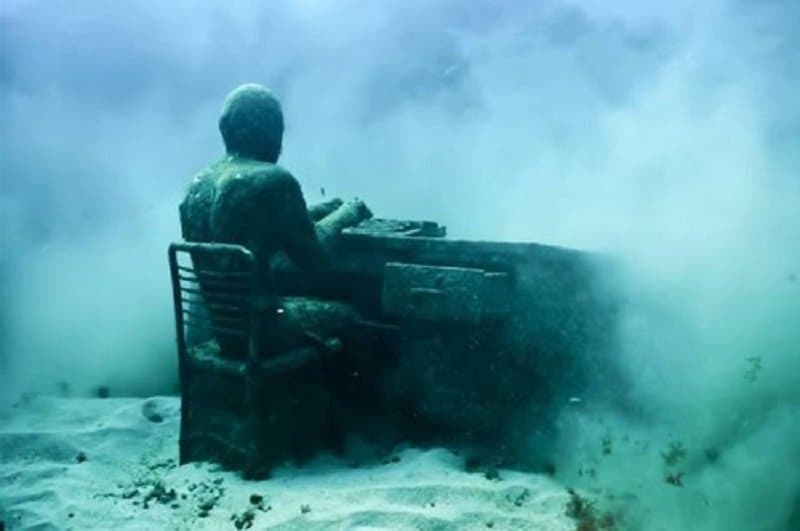 This writer is working on his typewriter in fairly accurate conditions. 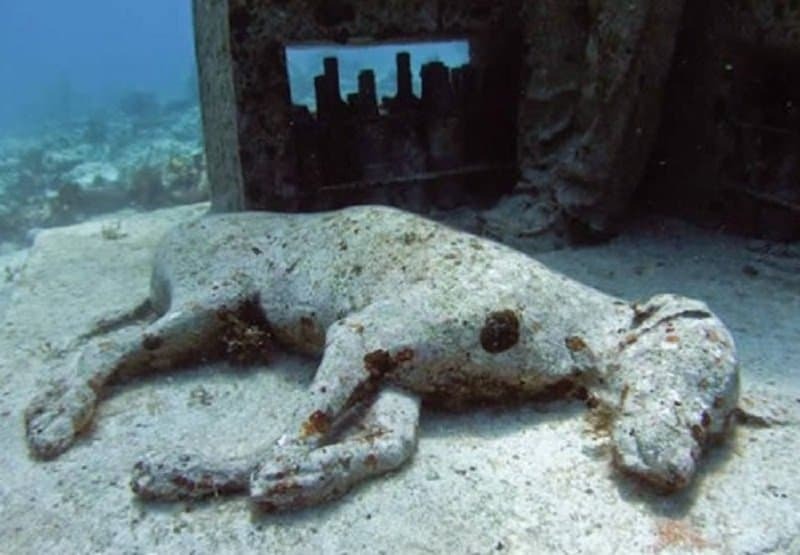 A simple and well-made piece featuring a dog taking a nap underwater. 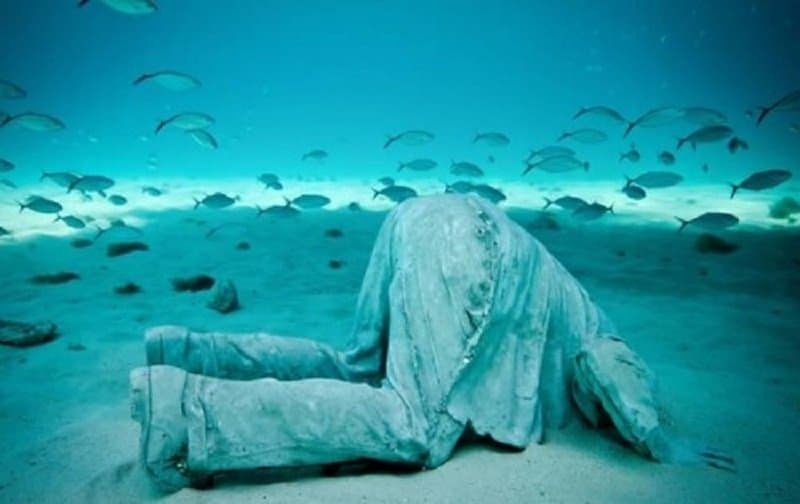 This is how future generations will probably find us if we don’t get off our butts and do something about the environmental crisis. 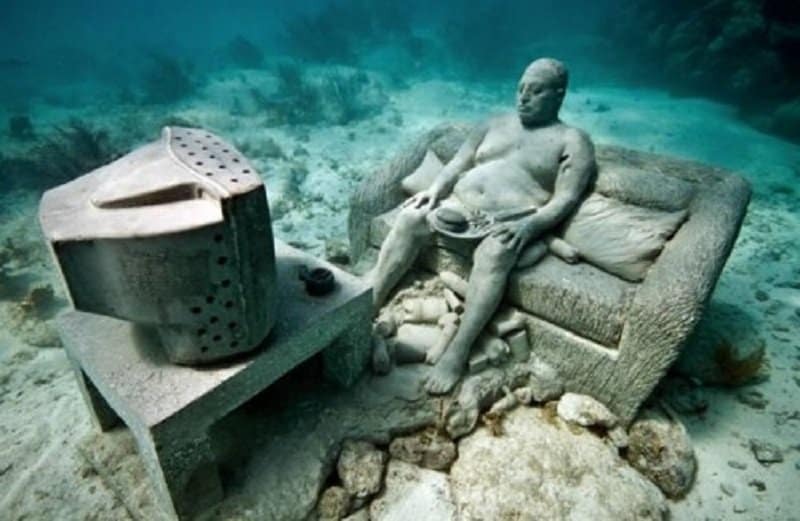 It is hard to find something that you lose, especially if you lose it underwater. 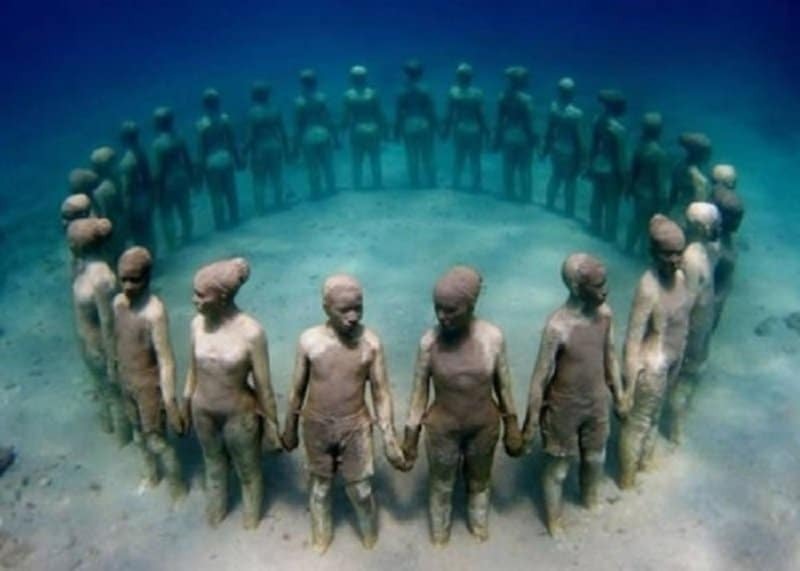 A slice of life piece that becomes all the more meaningful seeing these people underwater. 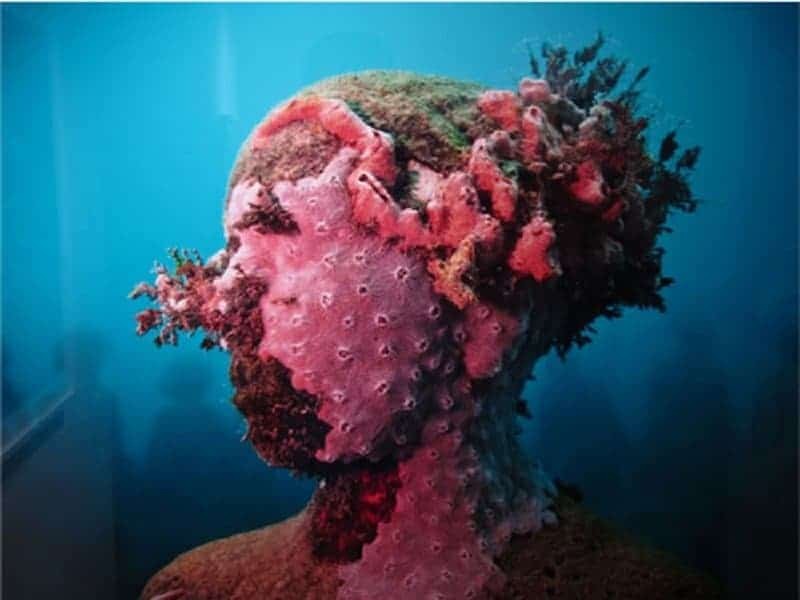 This brilliant piece looks extremely realistic due to all the layers of coral and sea weed covering the face. A poignant piece featuring a child enjoying the simple task of watching a plant in its element. These people are taking a stand for a cause. It seems like the stand has come a bit too late as they are all already buried by the elements.